There are those in Virginia who do NOT want their Governor Northam to resign…. After what he has been thru? They embrace forgiveness and look for a heighten awareness of the issue of race from a man who did some foolish things in his past…. When Steve Peacock first saw the decades-old racist photograph that has Gov. Ralph Northam of Virginia in hot water, it took him back to the days when he was getting chased home every day by angry white classmates. He also remembered the time he was in a restaurant with several white friends, and they all had to leave when the restaurant would not serve him because he was black. “The worst feeling of my life,” he said. The experiences, he said, made him hate white people. But Mr. Peacock, 61, is among the Virginians bucking the political establishment that has swiftly demanded Mr. Northam’s resignation after an image on his medical school yearbook page surfaced on Friday, showing two figures, one in blackface and another in a Ku Klux Klan robe. As the pastor of a church, Mr. Peacock said he now embraced everyone, regardless of race, and that he was a living example that people can change. “I have to look at his heart now and see what his real feelings are,” said Mr. Peacock, who grew up in Portsmouth. “I could vote for him again if he could persuade me that’s not really him now.” After apologizing on Friday for appearing in the photo, Mr. Northam now denies that he is in it. For Virginians in this region, which is home to Mr. Northam, grappling with the fallout over the picture is as complicated as this state’s tragic racial history. Virginia has become a Democratic stronghold with a diverse population and an increasingly liberal brand of politics. But the insidious racism that gripped it for generations is always scratching at the surface. The birthdays of the Confederate generals Robert E. Lee and Thomas J. “Stonewall” Jackson are state holidays. 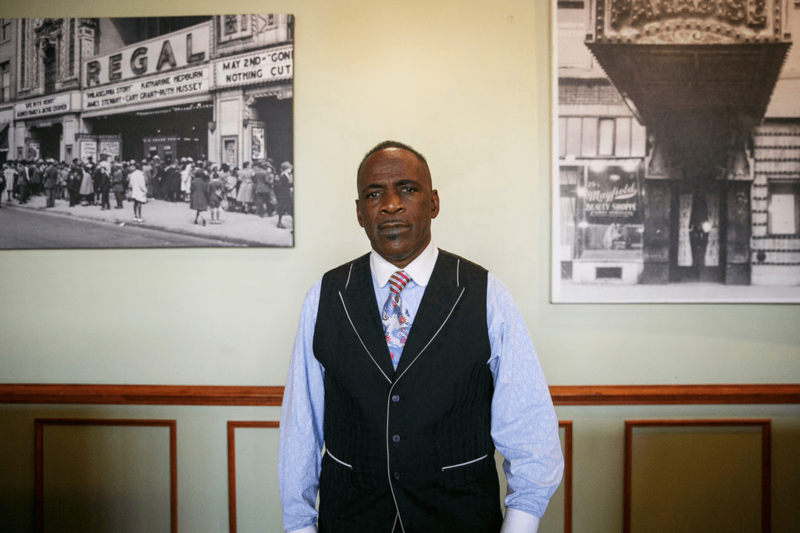 Black residents say they sometimes feel discriminated against, and activists say the criminal justice system in the state is sorely in need of reforms. Mr. Peacock may not align with the Democratic mainstream, but there are voters who hope that this moment, rather than fading from public memory as quickly as it appeared, will serve as a wake-up call. If a Democratic governor who aggressively courted African-American communities could be tied to something so blatantly racist, then this liberal-minded state could hardly rest easy, they said. Former senator Joe Lieberman (Conn.), the Democrats’ vice presidential nominee in 2000, offered a rare voice of support Monday for Virginia Gov. Ralph Northam (D) staying in office amid the controversy over a racist photo in his medical school yearbook. Lieberman, who became an independent late in his Senate career, was asked during an appearance on CNN if he thinks Northam should resign. “I think he deserves a chance to prove what really is his essence, not to rush him out of office, unfortunately for political reasons,” Lieberman said….. Embattled Virginia Gov. Ralph Northam told the Washington Post on Saturday that he “overreacted” when issuing his initial statement responding to a racist photograph on his 1984 medical school yearbook page, which said that he was “deeply sorry for the decision [he] made to appear as [he] did in this photo.”….